Books, Books and More books! There is never enough time in the day for all the books, but here we will post books worth reading, discuss why some are not worth wasting your time and more! What a great read! Any fan of Sherlock Holmes will enjoy this book! Holmes and his wife are travelling, and on the ship they run across a motley crew of characaters. From a spy, to a blackmailer, to a child who loves to misplace his items. 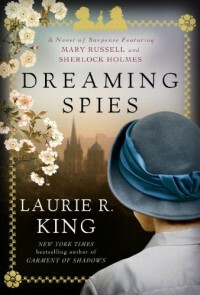 A mystery starts to build that will take the intellect of Holmes and Mary Russell together to solve it. I could not put this read down! I loved every page of the book! I felt as though I had actually travelled through Japan with Sherlock Holmes and his wife. What fun!